How Was Hemingway's Jumper Anyway? 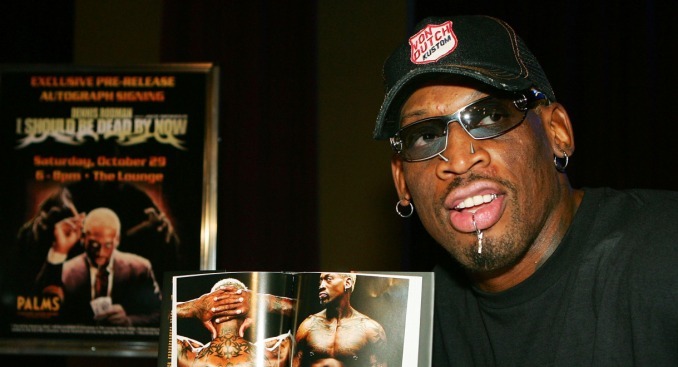 Dennis Rodman's book is not the correct answer to any of the five questions. Who said that someone can't possess both a love of literature and slick post moves? Not Word, a bookstore in Brooklyn. They're soliciting people to join a summer basketball league near the shop, but they don't want just any caliber of players. The hoopsters they seek should be equally knowledgeable about Ogden Nash and Steve Nash, and they should know that the Dallas Mavericks aren't characters in a Cormac McCarthy novel. To that end, they're asking players to fill out a questionnaire. Not the most difficult questions in the world, perhaps, but it would be interesting to see how well the current Knicks would fare. Does Nate Robinson's love of comic trivia extend to The Amazing Adventures of Kavalier and Clay? Has Eddy Curry's extended time on the bench offered him a chance to catch up on his reading? Have Larry Hughes' travels around the NBA made him a fan of Steinbeck's Travels with Charley?